When considering storage options, people return again and again to metal storage buildings. RHINO Steel Building Systems has steel sheds for sale that provide optimal protection, the highest quality, and of course, the RHINO Difference. 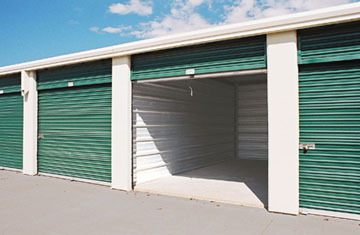 Metal storage buildings are the best storage option for protecting your valuable possessions. Whether you’re storing furniture, surplus inventory for your business, farm equipment, or any other important items, you can trust that metal storage sheds will withstand all challenges. When harsh conditions threaten storage buildings, nothing holds up against the elements quite like RHINO’s strong, durable metal storage sheds. RHINO metal storage sheds protect against all kinds of weather conditions. You can be sure that your metal building will not be toppled by destructive winds, experience leaks from driving rain, produce condensation that can damage your valuables, breed harmful mold, or allow pests or termites to thrive. RHINO metal storage buildings can even withstand lightning, heavy snow loads, fires, and earthquakes! RHINO’s prefab storage buildings are simple to assemble and very affordable. A RHINO prefabricated kit is created at the nearest RHINO shipping location and delivered directly to your job site. With every component cut to the proper length, welded to the correct shape, drilled for quick bolt-together connections, and painted to protect against the elements, your metal storage shed is completely ready to unload and assemble. When you choose a RHINO steel metal storage building, you know you are receiving the highest quality storage buildings for sale on the market. RHINO’s steel is strong and durable, and meets or exceeds all snow loads, wind loads, and seismic loads for the lifetime of the structure. RHINO’s exclusive ridge caps are die-formed to precisely fit the shape of the roofing panels, providing a tighter seal. Our metal storage sheds also generate a tighter seal with an overlap of the roofing and wall panels. This creates a stronger seam and comes with a 25-year warranty. Furthermore, RHINO metal storage buildings come standard with special formed-base trim designed to eliminate rust issues, and our insulation options provide even further protection and long-term energy savings. What’s the final reason that RHINO has the best metal storage buildings in the industry? Our top-notch customer service and years of expertise set us apart from the rest. Our expert metal building specialists will work with you to create your perfect metal storage building, designed to precisely fit all of your needs. If you’re looking for metal storage buildings, call us today at 940.383.9566 to experience the RHINO Difference firsthand! 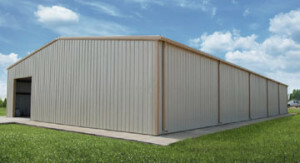 Share the post "Metal Storage Buildings"